Click on the image below to download the latest copy of the community map. 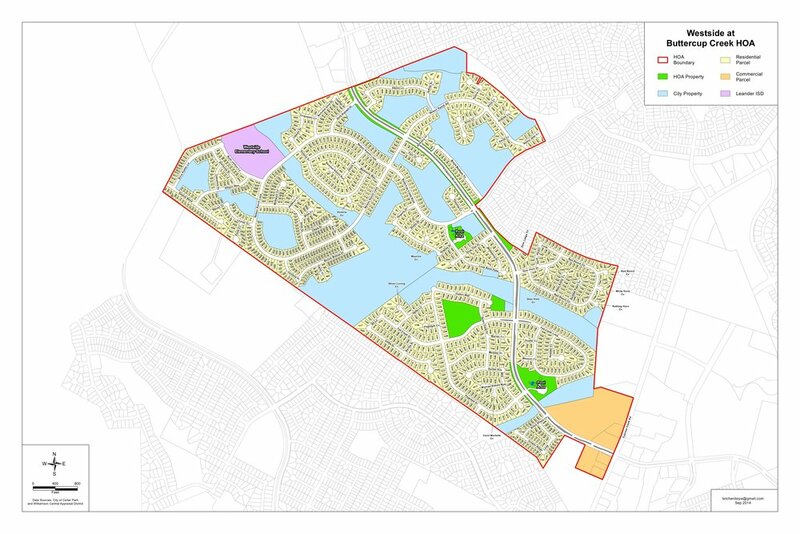 This map illustrates land under HOA ownership versus the City of Cedar Park ownership. It also differentiates between Residential and Commercial Parcel.